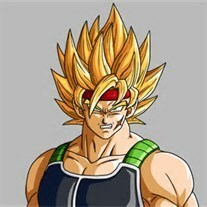 No, saiyans have brown tails, regardless their hair color. In my 粉丝 fictions, Trunks does have a purple tail. It's a rare genetic trait among Saiyans, but it does exist. Well it depends if 你 think a purple tail would be suitable for Trunks 或者 just the normal tail.